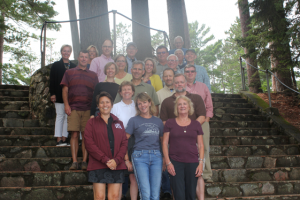 Since 1970, Camp Manito-wish YMCA has operated as an independently chartered YMCA, with its own Board of Directors and complete control over its activity and destiny. In an era that has brought new changes and challenges with each decade, the fact that Manito-wish has continued to thrive and prosper is a testimony to the leadership and efforts of these board members. Manito-wish is governed by a board of directors whose boundless energy is rivaled only by their unwavering enthusiasm for our mission. From fundraising for new facilities to establishing new programs to reinforcing the priorities and values that make Manito-wish so exceptional, our Board has always provided the guidance, wisdom and helping hands needed to achieve our mission.